Released in France as Danube Dance Featuring Kim Cooper - Diva. 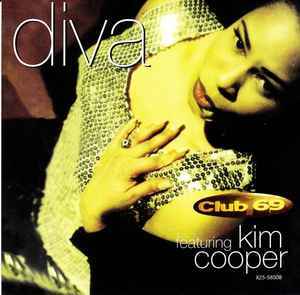 This release is the same as https://www.discogs.com/Club-69-Diva/release/2262866. Its quite confusing, they made wide cover to house two vinyls, but printed only A and B track list on back of cover, and added another promo vinyl, side C and D.
Beware, there are THREE labels for one disc pictured. Please delete wrong one, most likely that last one, black.